Scott Tassi - Albers Marine, Inc.
Scott Tassi has been a member of the Albers Team since 2014. In fact, he and Glenn Harrison fish several tournaments together. Tassi grew up in the area and does most of his fishing on Stockton Lake, Grand Lake, and Bone Creek Lake. Currently, Scott fishes with Anglers in Action, Joe Bass Team Trail, and American Bass Anglers. In 2009, he placed 2nd in the Anglers in Action Championship at Stockton Lake. More recently, Scott and Glenn qualified for the 2015 Toyota Tundra Bassmaster Team Championship down on Guntersville Lake in Alabama. 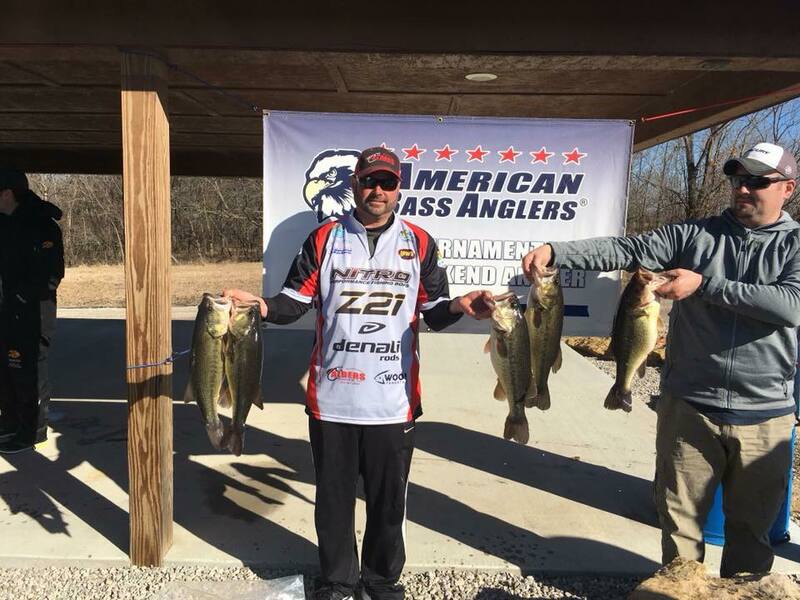 He also recently won an ABA tournament on Stockton Lake in April 2016 with big bag and also big bass. When not fishing in tournaments, Scott is a great help to us at boat shows and open houses. He is a regular here at Albers and is always willing to lend a helping hand or some fishing advice. Mr. Tassi is a bass angler but if you're looking for a great crappie fishing spot, he can point you in the right direction.